Looking For A Local Suspended Ceilings Essex Company? At Attcost’e we supply services in suspended ceiling installation in Essex and the local surrounding areas. If you are looking to modernise your office space, then our staff are expertly trained and boast many years of expertise. We can transform your space, providing an entirely new and contemporary feel. No matter if you are seeking a ceiling suspended from your retail outlet, office, factory or school, you can be confident that by having a suspended ceiling installed will benefit from a variety of factors, including; noise reduction, improved insulation, moisture resistance, improved acoustics as well as reduced energy bills. Suspended ceiling installation typically involves the installation of a secondary ceiling, which is hung below a building’s main structural ceiling. For those of you working in a property with high ceilings, you will notice that opting for a suspended ceiling will ensure that chilly draughts are a thing of the past. Suspended ceiling insulation will allow you a greater level of comfort. Irrespective of the type of building you are looking to enhance, a suspended ceiling will supply an array of qualities, but will prove to be aesthetically pleasing too. Suspended ceiling panels and tiles are the most visual aspect of a suspended ceiling, so it’s imperative that they boast aesthetic qualities. Suspended ceiling tiles are available in a selection of styles and finishes. In addition, suspended ceiling tiles can be purchased specifically to suit their environment, for instance; ceiling tiles with enhanced hygiene levels that break down harmful airborne substances. These are a fantastically efficient option of tile for the healthcare sector and other sectors that have to contend with a high volume of emissions from items such as construction materials, cigarette smoke, cleaning agents and cosmetics. 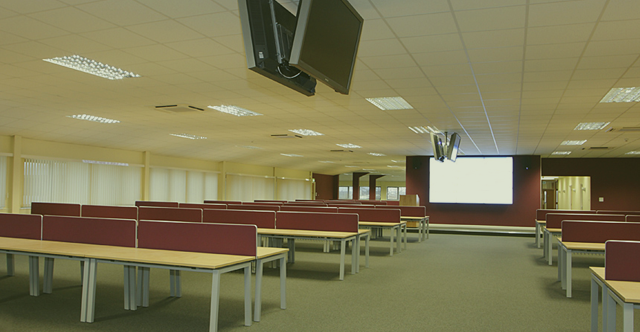 Here at Attcost’e, we provide the expert installation of suspended ceiling systems as well as a vast range of suspended ceiling supplies, ensuring that you can get the ceiling you require to suit your environment perfectly. Whether you are seeking mineral fibre ceilings, metal ceilings, plasterboard ceilings, acoustic ceilings or fire rated ceilings, we supply all of the above, allowing you to gain the exact ceiling you require. Lighting for your suspended ceiling is a necessity for those who require an environment that’s easier to work within, as a well lit room can increase levels of motivation and concentration for your workforce. Specific lighting can be utilised to highlight particular areas of the room, providing a natural level of light that is not overpowering. No matter on the style of lighting you require, here at Attcost’e we are more than happy to help in your decision making process, to ensure your precise lighting requirements are fulfilled. No matter whether you are in search of lighting diffusers to reduce the glare on your office computer screens, or whether you would rather opt for a modular lighting system situated level with your suspended ceiling grid - providing nominal space saving aesthetics – we provide a variety of lighting options to suit your needs and your décor. Whether you are based within Essex or London be sure to get in contact with us in regards to your suspended ceilings London requirements.